Arrive for your Xmas Party at this star studded event and be ‘wowed’ at ‘A Night with the stars’ at the world famous Madame Tussauds. Mingle with A-List Celebs like the Beckhams, Beyonce, J-Lo, George Clooney and Brad Pitt and party to the max. The evening begins with the sensational ‘Spirit of London Ride’, a spectacular time travel cab which takes guests through the sights, sounds and smells of 400 years of London’s history, complete with animatronic figures, lighting and sound effects. You are then invited to a drinks reception in A-List, London’s most stylish space. 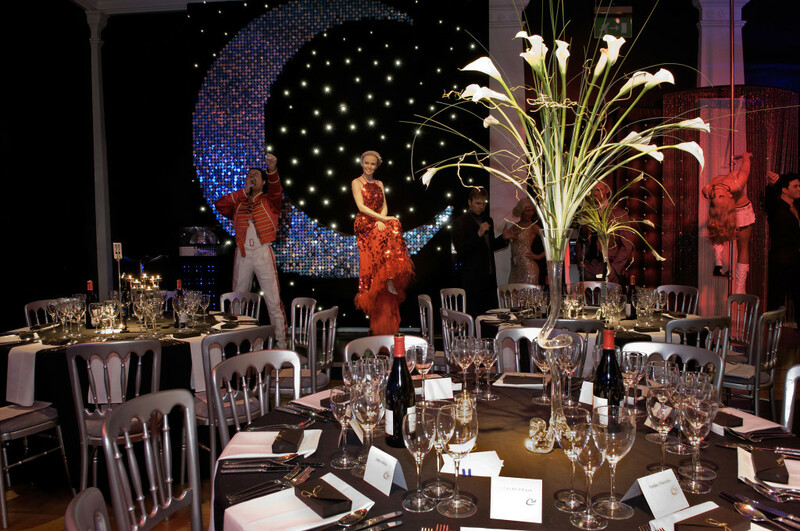 Whilst enjoying your drinks in this magnetic atmosphere, spot A-List celebrities also invited to this ‘A Night with the Stars’ Christmas Party. 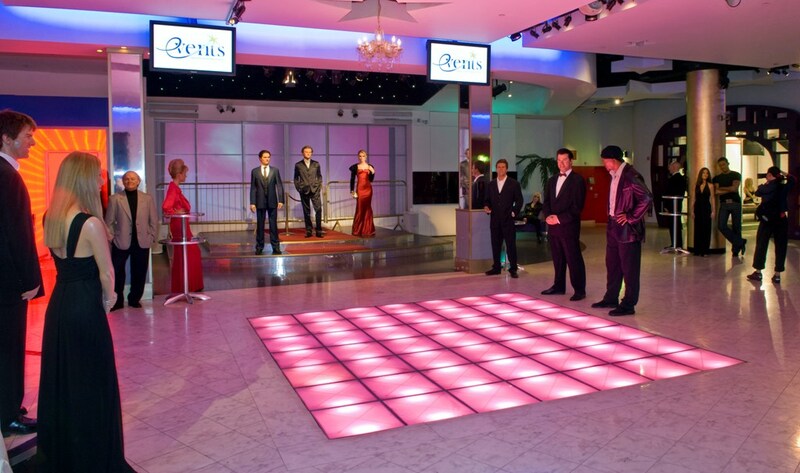 Guests walk through to the World Stage Ballroom through the film journey, where guests will meet contemporary film stars and icons of the silver screen. Guests arrive in the magnificent World Stage where you will enjoy a sit down 3 course dinner, with onlookers such as well-known sporting personalities and World Leaders who will look upon you with envy as you enjoy excellent culinary delights. In ‘The World Stage’, our resident DJ will entice you onto the dance floor playing music from the 60’s through to the present day. Your night finishes with an exit via the ‘Chamber of Horrors’, notorious for over 200 years and a spine chilling finale to your Christmas Party evening.